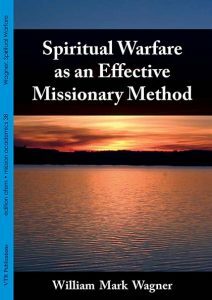 William Mark Wagner, Spiritual Warfare as an Effective Missionary Method. Nürnberg: VTR. 17 €. This book contends that cultural-themes of a given society can grow into strongholds that significantly shapes and guides its social structure. When the strongholds become distorted they can become barriers for the communication of the gospel. Understanding these theme strongholds and knowing how they can become perverted, will provide a pathway to overcoming the distortions and returning the cultural-themes to their divinely-intended purpose – a pathway to the gospel. The distortions have both a visible and invisible dimension. 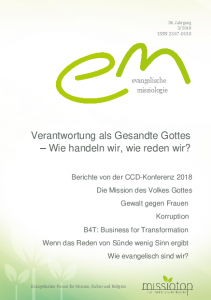 The book will explore the demonic influence spiritual powers have on culture and the cultural themes and will show how a two-dimensional approach through prayer and power encounters can overcome the stronghold and break down their resitance to the gospel. Mark Wagner lives and serves with his wife and two daughters in Germany. 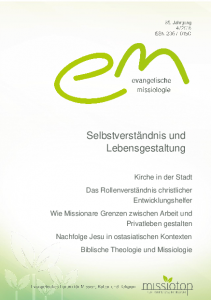 Wagner teaches at the Bible Seminary Bonn, Biblisch-Theologische Akademie Wiedenest and Olivet University. His areas of specialty are Missions, Contetexualization and Mission Strategy. He works with the International Mission Board of the Southern Baptist Convention.